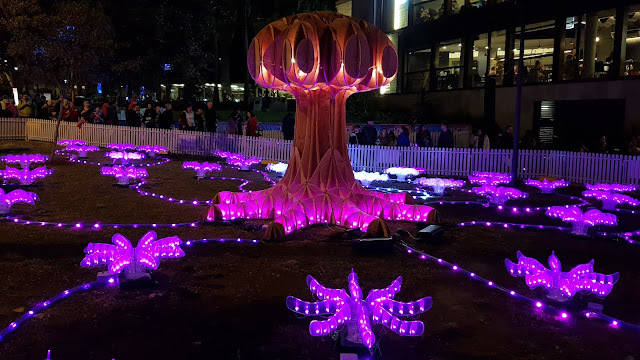 This illuminated artwork is located at Jesse Street Gardens, along Loftus Street at Circular Quay, as part of the Vivid Sydney festival, which runs from 25 May to 16 June, 2018. 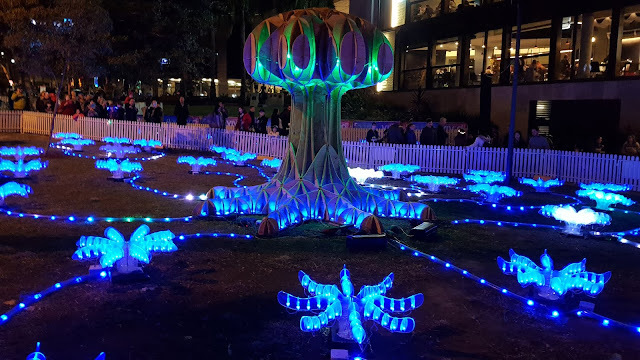 "Synergy" is a large plywood tree surrounded by similarly stylised ferns which represents complex superorganisms in nature. 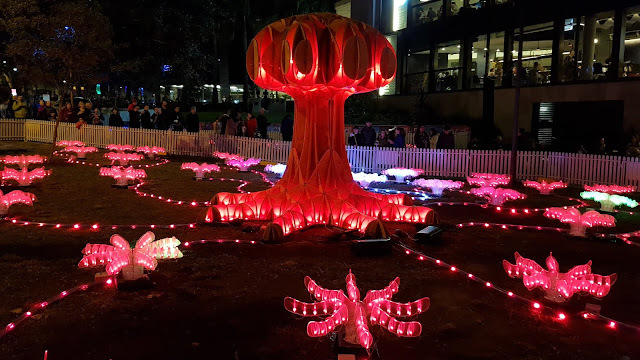 It was created by Australian artists Jun Ji Moey, Tsz Kin Liu, Jane Fan, Jonathan Hribar and Christie Wong in collaboration with Jeremy Low, Jason Chu, Emily Chan, Yuen Chan, Andy Zheng, Anthony Feizi-Sobbi, Dylan Goh, Mahima Mandal, Kevin Yu and MAKE Club University of New South Wales. They are so beautiful and unique like the Gardens of Avatar! What a beautiful light show. Lovely photos. Enjoy your day and week ahead! A very impressive show of light and color! I'm always amazed at the creativity of our artistic community around the world!